TAIPEI (Reuters) - Foxconn posted second-quarter net profit well below expectations as a rise in component costs and unsold inventory weighed on the performance of the Apple supplier and world's top contract electronics maker, analysts said. The company, formally known as Hon Hai Precision Industry Co Ltd, reported net profit of T$17.49 billion (£444.4 million) late on Monday, 20 percent short of analyst expectations and slightly below the year-earlier results. Foxconn shares fell more than 3 percent on Tuesday. Foxconn's results showed that its gross margin narrowed in the second-quarter in part owing to the cost of carrying unsold inventory of the iPhone X. Overall global smartphone shipments fell 3 percent to 350 million units in the April-June quarter compared with a year earlier, market research firm Strategy Analytics says. Apple has forecast above-consensus revenue for later in the year, when it typically launches new iPhone models. Reports suggest these models will use OLED screens, which can display colours more vividly. "We expect Hon Hai to be the main assembler of OLED version new iPhones and we believe the OLED iPhone model will see better demand in 2H18F," Chen said in a research note. The company's report also illustrates its moves to diversify by pushing into new areas such as display screens - it bought Sharp Corp in 2016 - autonomous car startups and investments in cancer research. "Investment in factory automation and component price hikes capped gross margin," said Fubon Research analyst Arthur Liao. 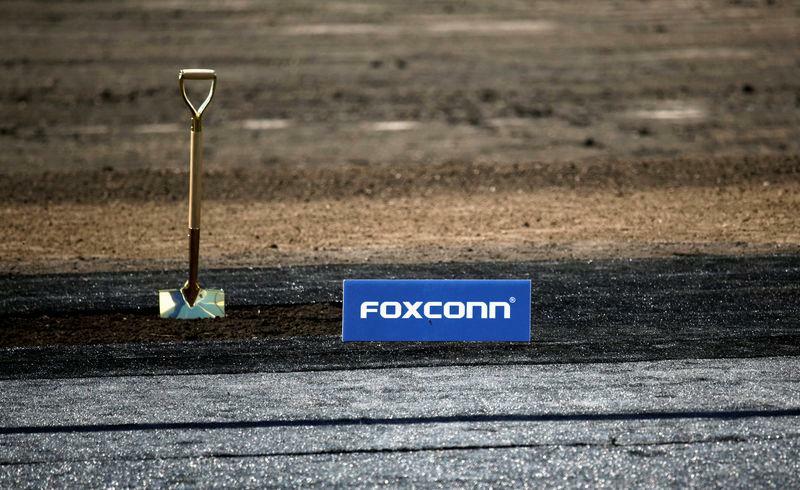 Foxconn's operating costs jumped 18.8 percent in the quarter. Liao noted that Foxconn absorbed some expenses this quarter related to Sharp's planned acquisition of Toshiba's PC business, as well as development costs from setting up a factory in the United States, and taking Foxconn Industrial public in June.